On the billboard: Beirut from my balcony at 7 a.m (click for original). 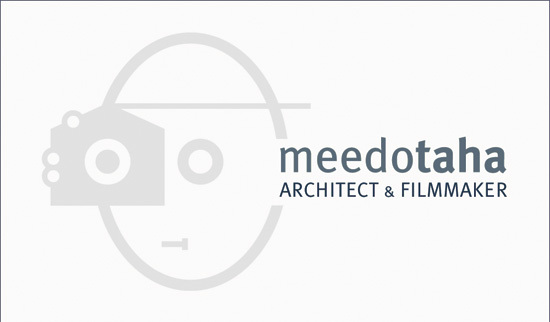 I have mixed feelings about advertising, and generally accept or turn down projects on a case-by-case basis. Plus I only consider photography an expensive hobby, and in fact don’t make any mention of it on my website or business card. 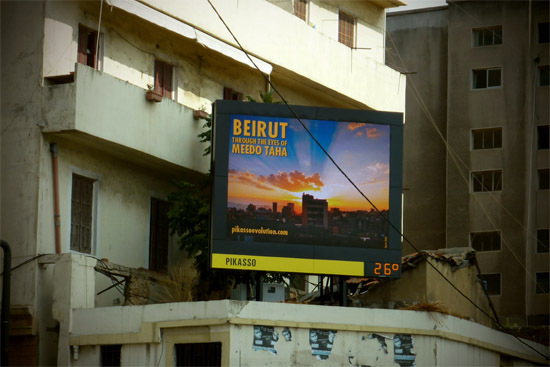 So when outdoor advertising company Pikasso asked me to contribute a few photographs to the launch of their new digital billboards, my initial thought was that there are many photographers working in Beirut today who are clearly more experienced than I am. But then it was explained to me that the theme of the campaign was one dear to my heart: my home city. 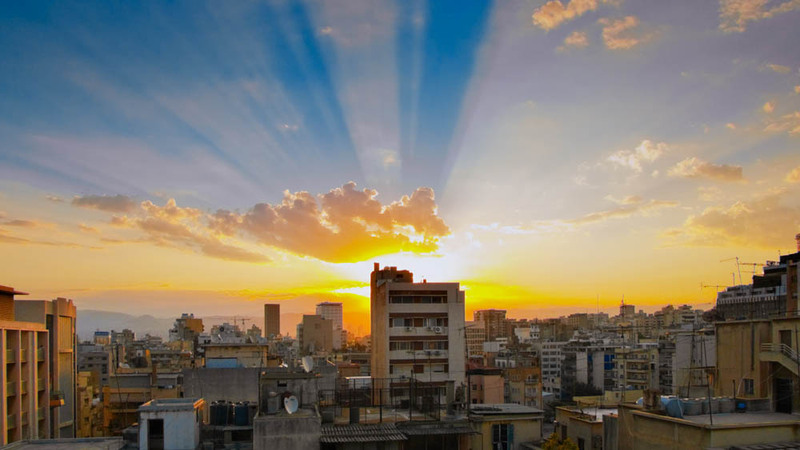 Pikasso’s idea is to celebrate the beauty of Beirut with photos of the city taken by a handful of its residents. And just like that, as they say in adspeak, I was sold. Thanks to my friend Nady, a talented photographer in his own right, for sending me the photo of the billboard.